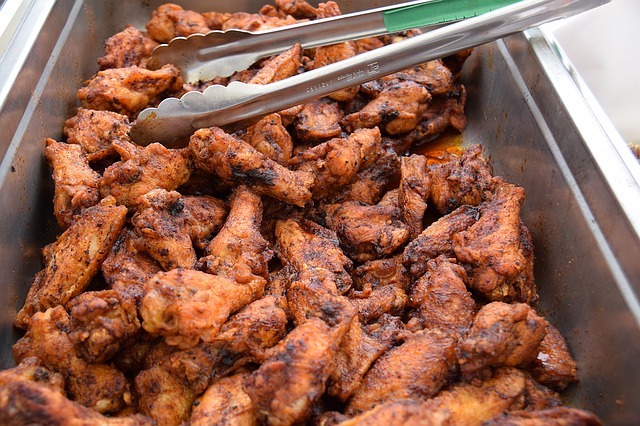 Couchgating: Plan Your Best Football Viewing Party Ever! Fall leaves are dancing on the front sidewalk, and the crisp autumn breeze is ruffling our team flag. It’s finally time for football season, and our military family is as happy as can be! At this harvest time of year, you can find us cheering the local team under the Friday night lights, rooting for our alma mater on Saturday, and catching highlights from NFL games on Sunday, Monday and Thursday. There’s gridiron excitement to enjoy nearly every day of the week. Over the years, our house has become a popular place for tailgating, or “couchgating”--rallying around the TV in the living room! Along with a few suggestions from fellow military spouses, I'm sharing tips from my playbook to help make each Game Day a winning experience. Two crucial elements of hosting a “watch party” are setting up the television and making sure guests have a clear view of the screen. At a previous assignment, our neighbors would open their garage and project the game on a wall. We’d snack on goodies while seated in lawn chairs and camp stools. However, at our house, it’s convenient to gather indoors while keeping these details in mind. Preparing our living room ahead of time lessens the stress while the commentators are giving their pre-game analysis. Here in Virginia, the mild fall weather allows us to continue to use our backyard grill. Before hosting a shindig, it’s wise to check the amount of propane remaining in the tank. There’s nothing quite as tragic as coming up empty in the first half of the game! slicing cheese, tomatoes, and onions for garnish. When the doorbell rings, I can quickly plate the burger toppings, along with lettuce, pickles, condiments, and buns. Additionally, making the savory and sweet dip mixes ahead of time keeps me tuned in with the friendly chatter of the gathering guests. My goal is to have the food ready to serve, so everyone can grab a plate and join in on the fun. Hosting friends and family doesn’t mean that my spouse and I have to cook. The joy we find in hosting a casual football party is the time we spend hanging out with others. If our budget allows, we might have pizza, wings, or sub sandwiches delivered or order from the catering menu at our favorite grocer. Our guests tend to spoil us by bringing delightful desserts. We’ve also hosted gatherings where everyone brings a dish to share. 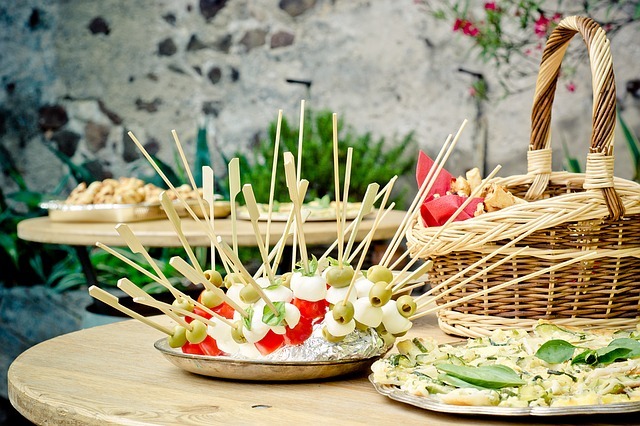 Having a potluck buffet offers a wide variety of yummy food to try (and minimal clean up!). No matter if “leaded” or “unleaded,” it’s important to have plenty of refreshments on hand. While setting out cups, glasses, and koozies, we keep these points in mind. For those opting for water, we offer fresh sliced lemons and plenty of ice. 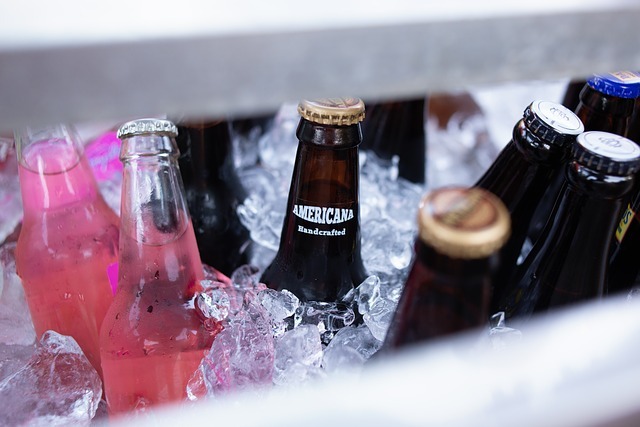 When choosing soda pop, we buy it in a case rather than liters. Although a liter of pop is less expensive, we dislike having a collection of “half-empties” at the end of the party! While stocking the coolers, we add a twine to a bottle opener and tie that string to the cooler handle to keep it within easy reach. When the drinks have no chill, we try a mini science experiment. Filling the cooler with cold water, a cup of salt and a couple pounds of ice, the bottles and cans quickly cool down. By looking for coupons and shopping the Class VI, we can save a little money on purchasing beverages for the crowd. No matter how the final score of the game ends up, if our guests are comfortable with the amenities of our home, we count that as a win! Inviting a batch of loyal sports fans to join us for a game or two is a fun way for our military family to celebrate the fall season. With the holidays ahead, follow the captivating blog posts on MilitaryByOwner for further tips and hints for entertaining.